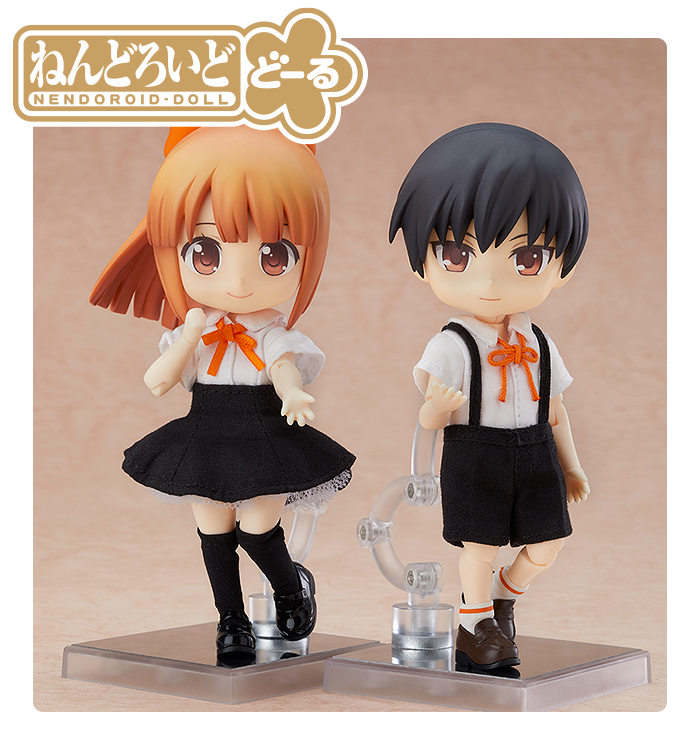 Good Smile Company is creating SIX new lines of Nendoroid products! 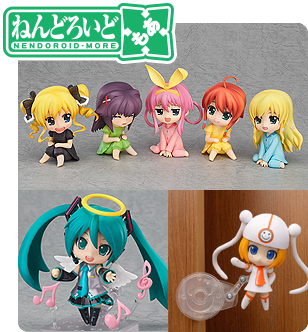 We at Good Smile Company have created several different series of Nendoroid products thus far. Presenting a brand new plastic model series: Nendoroid Plamo! 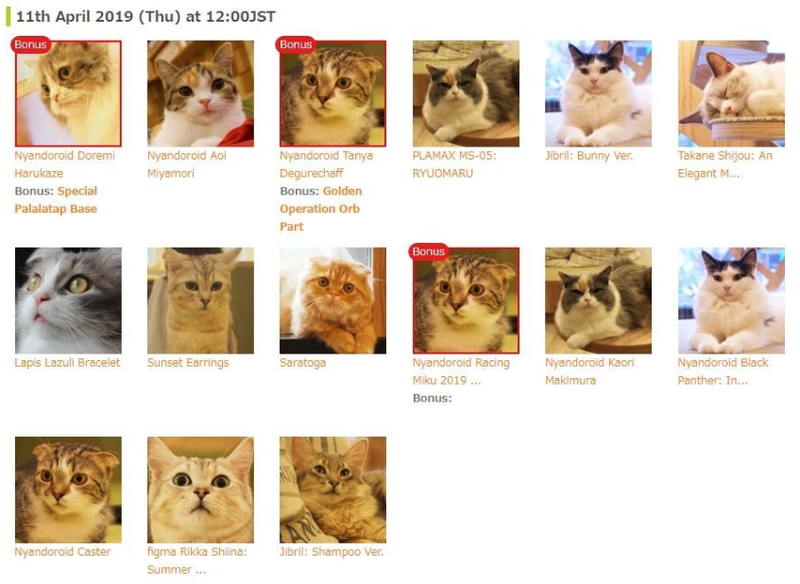 Cute to look at, fun to play with! The Nendoroids you know and love are now becoming plastic models kits, recreated in unprecedented detail! The first model kit of the series is Hatsune Miku! ♪ Use the pre-painted parts and included eye decals to create your own Nendoroid! Nendoroids created with your own hands! ▲You can tell it’s her just by those twintails! A whole new way to enjoy Nendoroids! Nendoroid Block! The first of the series is Saber/Altria Pendragon from “Fate/Grand Order”! 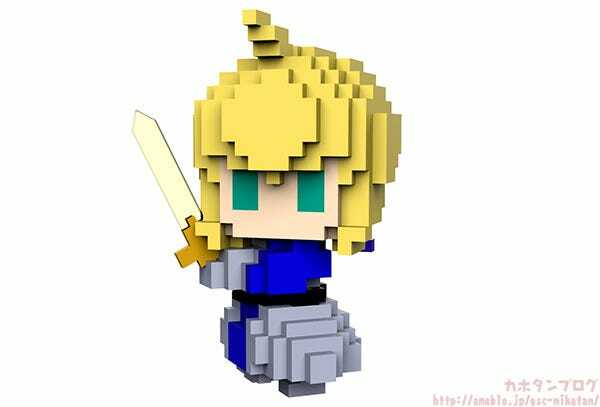 While mainintaining her adorable Nendoroid appearance, you can now build your very own pixel art inspired version of Saber. Excalibur has been recreated using translucent parts. Be sure to add her to your collection! Recreate any character you can imagine. Anything’s possible with Nendoroid Block. Even the hair at the top of her head has been recreated! Blocks to build Saber, Excalibur and her optional parts are included! 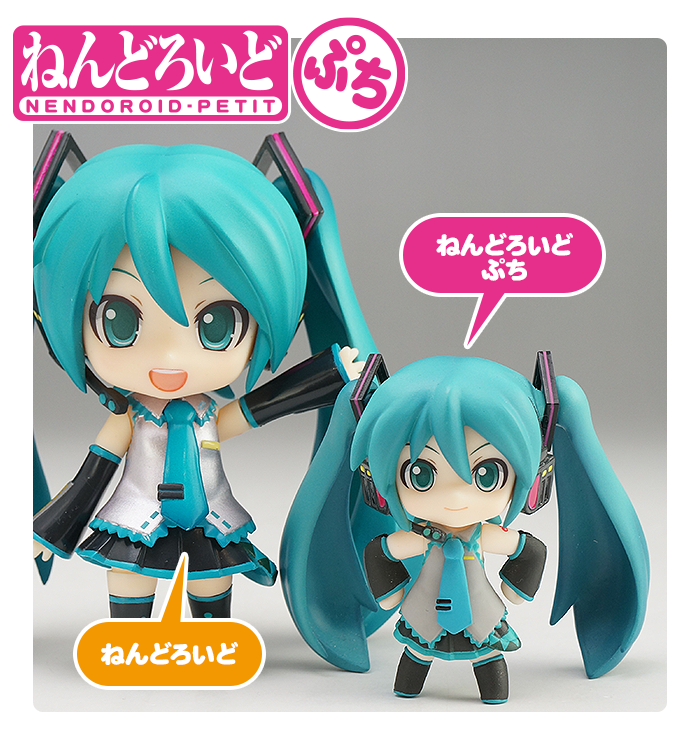 Seventeen times larger than a normal Nendoroid!? It’s Nendoroid GIANT! 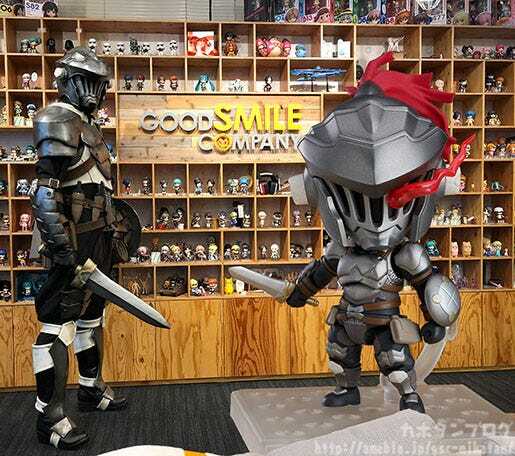 We heard the cries of fans everywhere asking for something a bit bigger than their palm-sized Nendoroids, and now we have an answer: the human-sized Nendoroid GIANT! First in the series is Goblin Slayer, the protagonist of “GOBLIN SLAYER”! 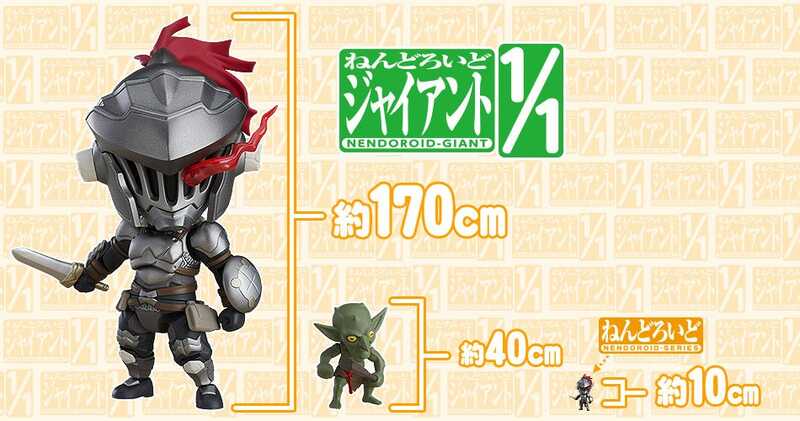 A 40cm tall goblin is also included as an optional part! Be sure to add one (or more!?) to your home! Small size; big cuteness! It’s Nendoroid mini! Recent advancements in figure production technology have now made it possible to bring Nendoroids down to tiny fingertip size! 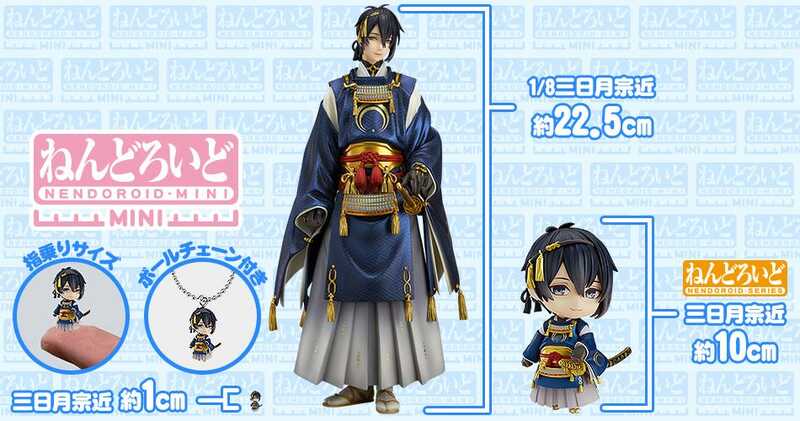 First in the series is Mikazuki Munechika from “Touken Ranbu -ONLINE-“! Use the included keychain attachment to take your Nendoroid mini with you on the go! Balance them right on your fingertip! 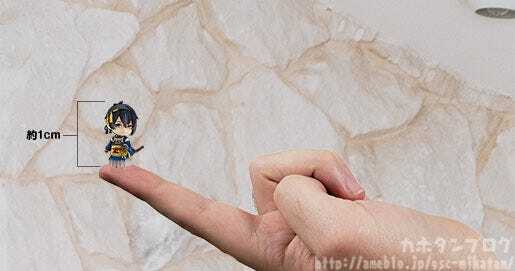 Take a look compared to his scale figure and Nendoroid! 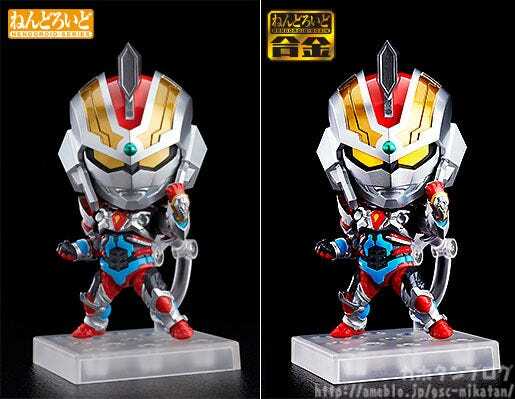 From SSSS.GRIDMAN comes Gridman, now as an alloy Nendoroid Gokin! While maintaining the adorable chibi size of a Nendoroid, diecast parts have been implemented to give the Nendoroid a feeling of weight that you’ve never experienced before! 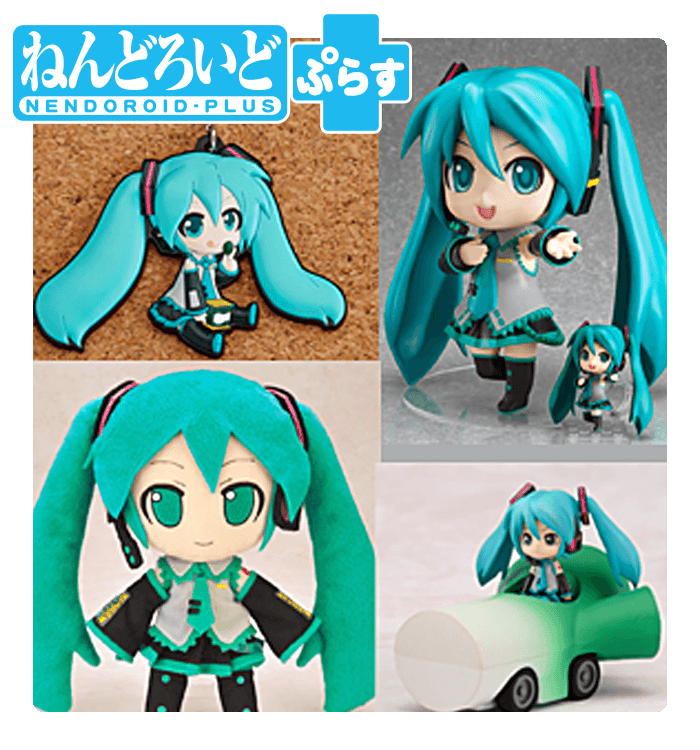 The adorable look of a Nendoroid, now with a luxurious new feel. Be sure to add Nendoroid Gokin: Gridman to your collection. Can you see the shine of those diecast parts? Nendoroid Gokin are quite heavy so be careful when moving them! 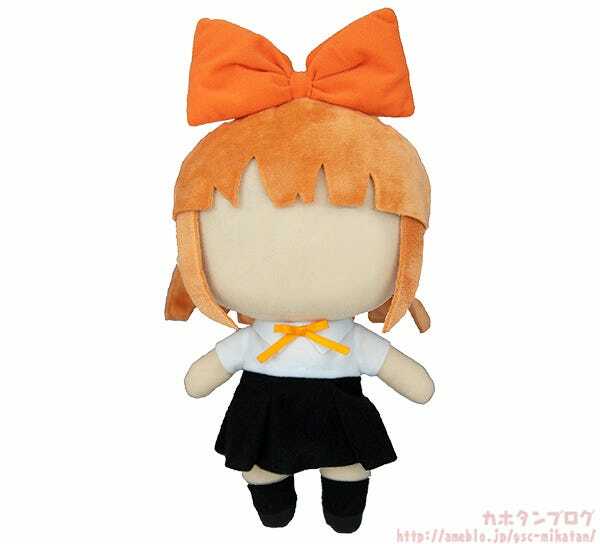 Adorable Nendoroids are now plushie toys! 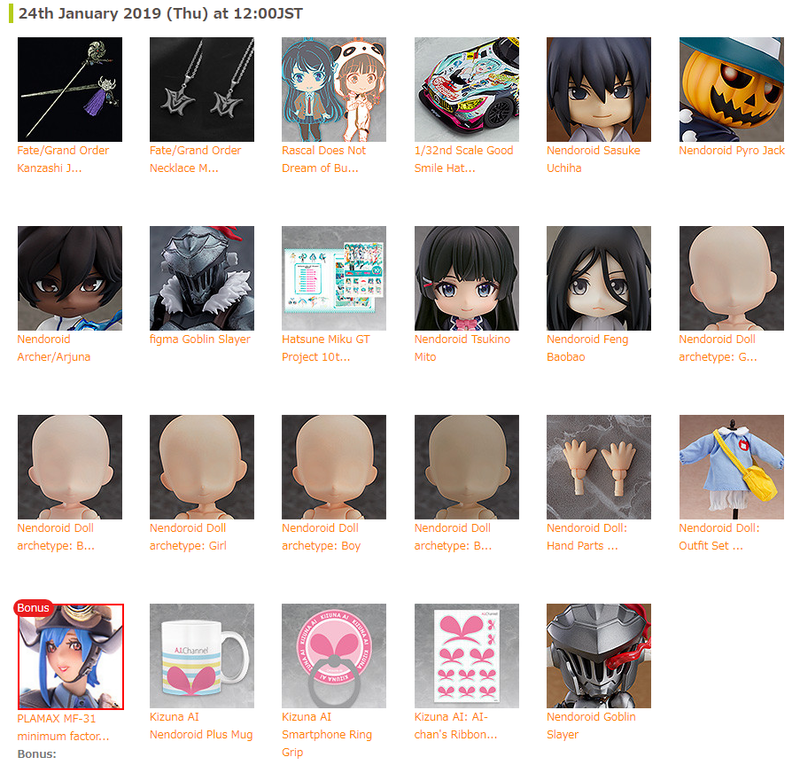 Soft, Plush Nendoroids are here! 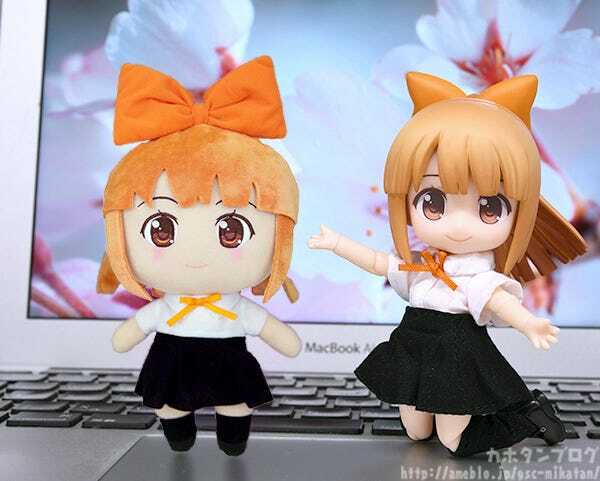 Featuring the same interchangeable face parts and articulated joints as a Nendoroid, but in Plushie form! ▲ A special embroidery handbook (2828 pages) is included as a bonus! 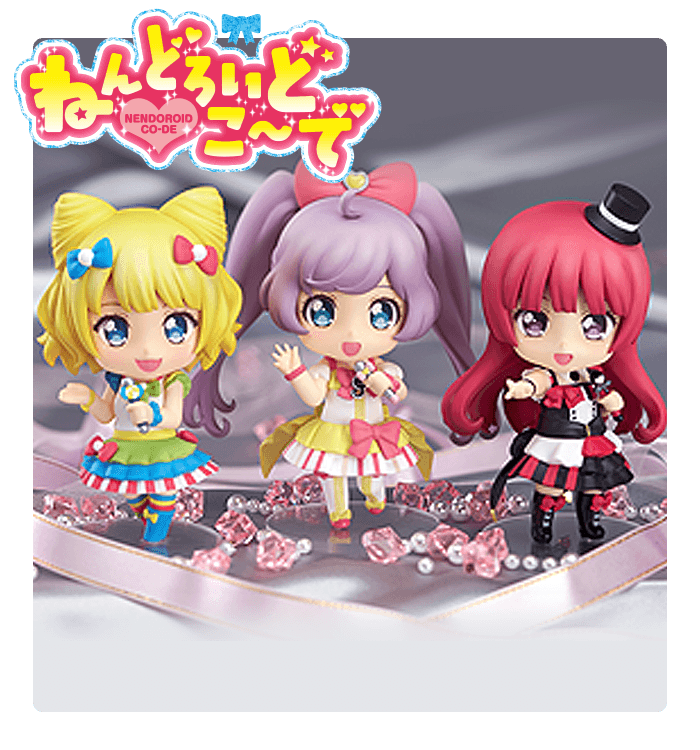 Check out the Good Smile Company official site for more information!